“Heat Seat” is appropriate because the solar panel can be connected to warm the piece. 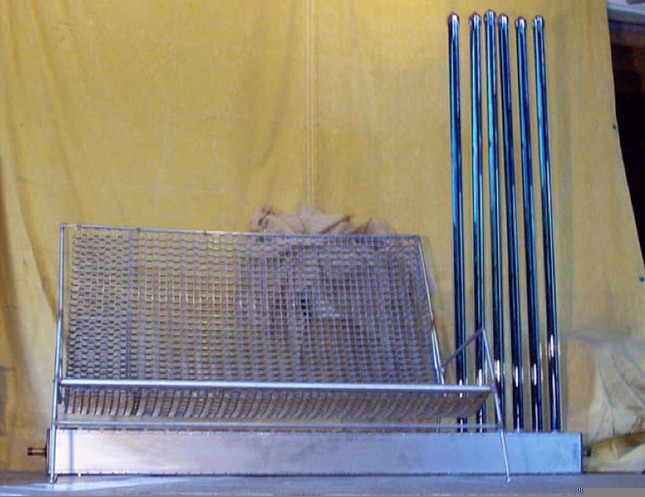 This is an amazing concept: groundbreaking hydronic solar furniture as art. 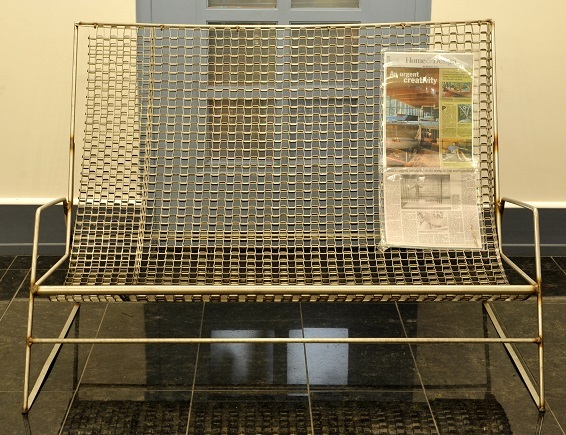 The love seat is made of salvaged stainless steel in combination with the ready-made solar panel made of evacuated glass tubes.